International Relations BINUS University | Lili Yulyadi, Ph.D.
Dr. Lili Yulyadi Arnakim is currently a Structural Faculty Member at the Faculty of Humanities and attached at Department of International Relations, BINUS University, Jakarta as Lecturer Specialist, and a visiting professor at the Asian-Europe Institute (AEI), University of Malaya. He was attached at the Department of Southeast Asian Studies, University Malaya for more than ten years. His current research project is on Revisiting “Development” in Developing Countries: A Comparative Study between Southeast Asia and Latin America. He is a former head of Centre for Latin American Studies, University of Malaya. He is among the pioneers who taught Islamic Financial Planning in both Malaysia and Indonesia and an authorized lecturer for Islamic Banking and Finance in Singapore. 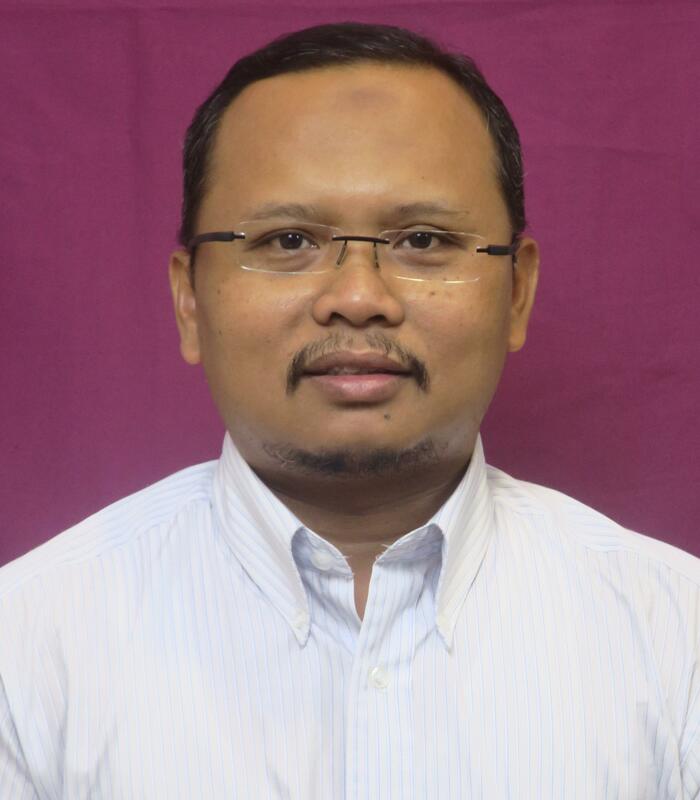 Dr. Lili Yulyadi received his first degree with honors in Islamic Revealed Knowledge and Human Sciences (majoring in Fiqh Wa Usuluhu / Shari’ah), from the International Islamic University Malaysia (IIUM). The next year he received a double degree with honors in Political Science (International relations), and obtained his Masters Degree in Political Science (International relations) in 2001. While in the final year of his Masters, he served as a graduate assistant in the Department of Political Science, IIUM. In 2003, he completed the PhD program at the Department of International and Strategic Studies, University of Malaya. His PhD dissertation is entitled “The Impact of Islamic Awakening on Indonesian Foreign Policy, 1993-2004”. Arnakim, L. Y. (2018). Islam dan Demokrasi di Indonesia: Satu Tinjauan Teori dan Praktis. In A. S. Ghazali, Z. A. Rahman, & R. Fauzi (eds. ), Merentasi Sempadan yang Melewati Zaman: Kumpulan Esei Sempena Persaraan Profesor Dato’ Dr Mohammad Redzuan Othman (pp. 325-332). Kuala Lumpur: Penerbit Universiti Malaya. Islam, M. R., Rahman, Z. A., Ghazali, A. S., Arnakim, L. Y. B., & Faruque, C. J. (2016). Contextual Strategies for Hunger Reduction: A Case of South Asian Countries. Transylvanian Review, 24(5). Islam, M. R., Cojocaru, S., Rahman, Z. A., HAJAR, A. B. S., & ARNAKIM, L. Y. B. (2016). Story behind the Closed Doors: Decent Work Practice among the Migrant Domestic Workers in Singapore and Italy. Revista de Cercetare si Interventie Sociala, 53, 304. Arnakim, L. Y. (2016). Islamic Norms and Values in International Relations and Their Reinterpretation in AKP-Governed Turkey. In D. Abdelkader, N. Adiong, & R. Mauriello (Eds.). Islam and International Relations (pp. 32-49). Palgrave Macmillan UK. Arnakim, L. Y. (2012). Quo Vadis the ASEAN Way in Deepening Regionalism in Southeast Asia. Proceedings for the Foreign Policy Study Group, IDFR, Kuala Lumpur, 27-28 August 2012. Arnakim, L. Y. (2012). Southeast Asia as A Resilient Region: What has been, and should be done by ASEAN for sustaining the resilient one. Proceedings for the Foreign Policy Study Group, IDFR, Kuala Lumpur,3-4 December 2012. Arnakim, L. Y. (2012). The Quest for A Collective Identity in Indonesia- Malaysia Bilateral Relations. Proceedings for 6th International Conference Indonesia- Malaysia, Faculty of Social and Political Sciences UNAIR, Surabaya Indonesia, 10-12 July, 2012. Arnakim, L. Y. (2011). Role of Civil Society in Conflict Resolution in Southern Thailand. Population Dynamism in Asia: Issues and Challenges Ahead, (Department of Geography, Faculty of Arts and Social Sciences, University of Malaya). Arnakim, L. Y. (2010). Islamophobia: Myth of Islamic Threat in Indonesia, 2001-2004. Sejarah, 18, 145-155. Arnakim, L. Y., & Hamad, I. (2010). Islamophobia and Its Discontents: The Reduction of Muslims’ Self Confidence in the Information Age. JATI-Journal of Southeast Asian Studies, 15, 3-11. Arnakim, L. Y. (2009). Hubungan Dinamik Antara Indonesia dan Malaysia Pasca Merdeka: Peranan Faktor “Co-Religio” Dalam Hubungan Dua Hala. In 50 Tahun Hubungan Diplomatik Malaysia dan Indonesia (pp. 359-378). Kuala Lumpur: Penerbit University of Malaya. Arnakim, L. Y. (2009). Islam and Nation State in the Southeast Asian Nations. In Kontribusi PPIUM untuk Negara dan Bangsa Indonesia. Bangi: UKM Press. Arnakim, L. Y. (2009). Islam and Protection of the Rights of Minority Groups: A Preliminary Analysis of Islam Hadhari. In R. Abdullah (ed. ), Pembelaan Kumpulan Minoriti di Malaysia (pp. 79-92). Kuala Lumpur: Pusat Peradaban, UM. Jones, D. M. & Arnakim, L. Y. (eds.). (2009). Regionalism and Political development in Southeast Asia. Kuala Lumpur: Department of Southeast Asian Studies, UM. Arnakim, L. Y. & Jones, D. M. (2009). Introduction. In D. M. Jones & L. Y. Arnakim (eds. ), Regionalism and Political Development in Southeast Asia (pp. 1-2). Kuala Lumpur: Department of Southeast Asian Studies. Arnakim, L. Y. (2009). Indonesia-Malaysia Dispute Settlement Mechanism. In D. M. Jones & L. Y. Arnakim (eds. ), Regionalism and Political Development in Southeast Asia (pp. 119-129). Kuala Lumpur: Department of Southeast Asian Studies. Hussin, H. & Arnakim, L. Y. (eds.). (2009). Dinamika Pelancongan Asia Tenggara di Alaf Baru. Kuala Lumpur: Department of Southeast Asian Studies, UM. Arnakim, L. Y. & Hussin, H. (2009). Dinamika Pelancongan Asia Tenggara. In H. Hussin & L. Y. Arnakim (eds. ), Dinamika Pelancongan Asia Tenggara di Alaf Baru (p. 1-10). Kuala Lumpur: Department of Southeast Asian Studies, UM. Arnakim, L. Y. & Hussin, H. (2009). Pemahaman Agama Melalui Pelancongan: Kajian Kes Masjid Negara, Kuala Lumpur. In H. Hussin & L. Y. Arnakim (eds. ), Dinamika Pelancongan Asia Tenggara di Alaf Baru (pp. 135-148). Kuala Lumpur: Department of Southeast Asian Studies. Yulyadi, L. (2007). An Islamic Conceptualization of Political Obligation. TAFHIM: IKIM Journal of Islam and the Contemporary World, 2(2). Arnakim, L. Y. (2007). The Leadership of Islamic Movements in Indonesia Postsuharto: Identifying the Missing Link between the Movements. JATI-Journal of Southeast Asian Studies, 12, 147-160. Arnakim, L. Y. (2006). Islamic Awakening in Indonesian Politics 1990-2004. Journal Sejarah, 14, 161-189. IIUM History Student’s Forum Grant, research on “Historical Places in the Middle Eastern Countries” (especially in Turkey, Jeddah, Madinah, Makkah, and Taif), 1997.